WordPress is one of the most widely used blogging platforms globally. But sometimes, it can be confusing for newbie bloggers to use. This leads to some common WorPress mistakes. Here are 5 of the most common mistakes you should avoid. 1. Forgetting to change the default WordPress tagline. As a default, WordPress uses the tagline “Just another Blog” on every new WordPress installation. Be sure to change the tagline to something different. Change the tagline to short summary of what your blog is about. 2. Creating too many posts categories. WordPress allows users to organize content into categories. This makes content easier to find and the website easier to navigate. However, if you add too many categories or create multiple categories with multiple subcategories, it is going to be confusing. It will also make the website difficult to navigate. Create categories that are only related to what your blog is about. 3. Not optimizing blog and posts images. WordPress makes it fairly easy for you to optimize all images published on your blog. Optimizing images helps tremendously to increase your overall SEO. When adding pictures to your blog posts, make sure you add the a short description to the images title and alt tag. The short description should be the main keyword of the blog post. 4. Not monitoring blog traffic. Install Google analytics on your blog. Google Analytics allows you to monitor how many visitors go to your website, exactly when they go, what pages they visit, and how long they stay on your site. 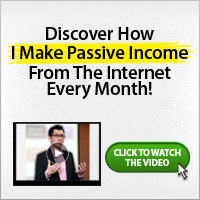 This is all valuable information that will help you identify what’s working and what isn’t. 5. Not using a responsive WordPress theme. WordPress offers responsive themes. Responsive themes which automatically resize to fit mobile devices. This makes your blog readable on any device. Not doing this is tantamount to simply ignoring smartphone and tablet users, which is the largest growing demographic. Do you find yourself committing these common mistakes? If yes, let me know which ones and make sure you correct them. Or, do you know more of the most common WordPress mistakes which needs to be avoided? Kindly share as comments on this post. I agree with all but checking the stats regularly, I think its better to set a particular time to check stats, maybe weekly, every fortnight, monthly or more.